We're going island hopping today! 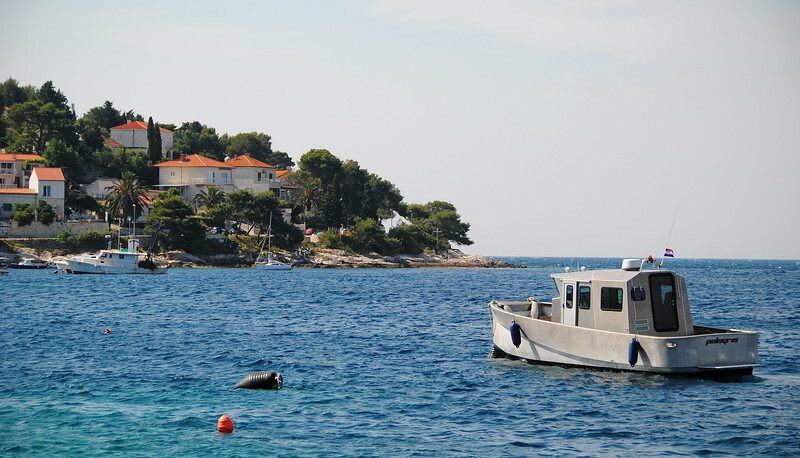 Gonna head to the next island south of Brač, called Hvar. 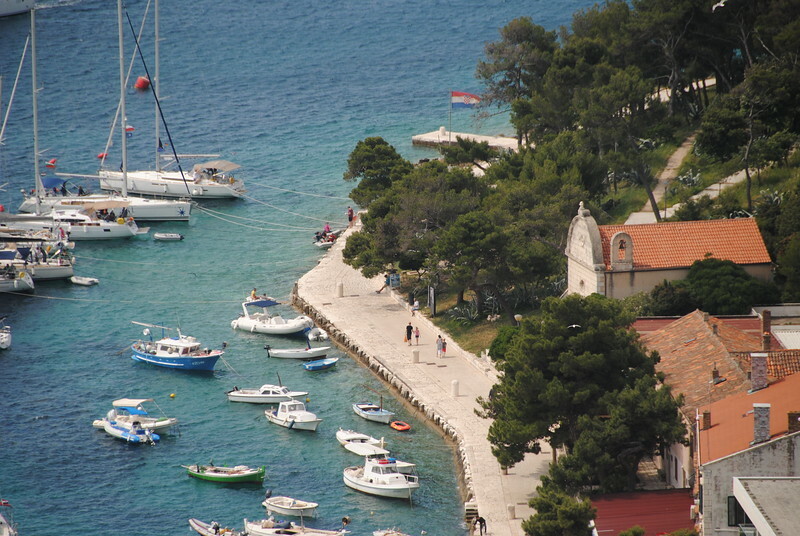 But strangely enough, there is no direct ferry between Brač and Hvar. 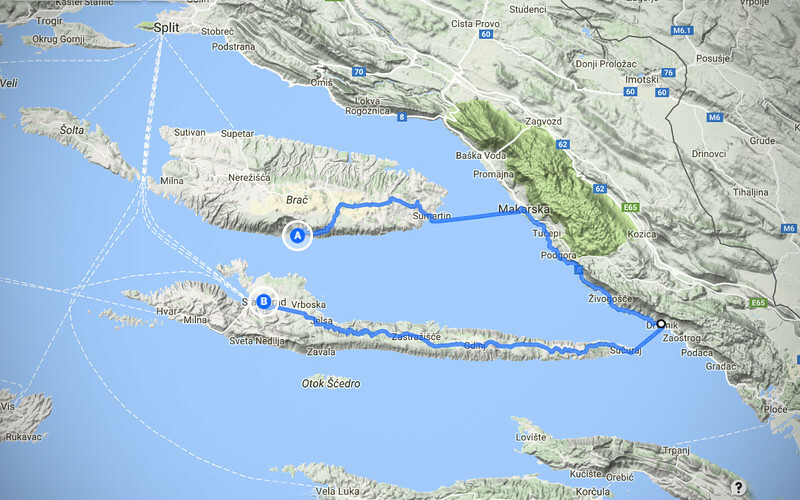 Which means we've got to take a ferry back to the mainland, ride south a little bit and then take another ferry to Hvar. I guess there's not enough traffic between the two islands to justify a direct ferry. Oh well, more riding for us, we don't mind! Thanks to Günter for this pic of us - we don't have many of us together. Enjoying the sunshine! 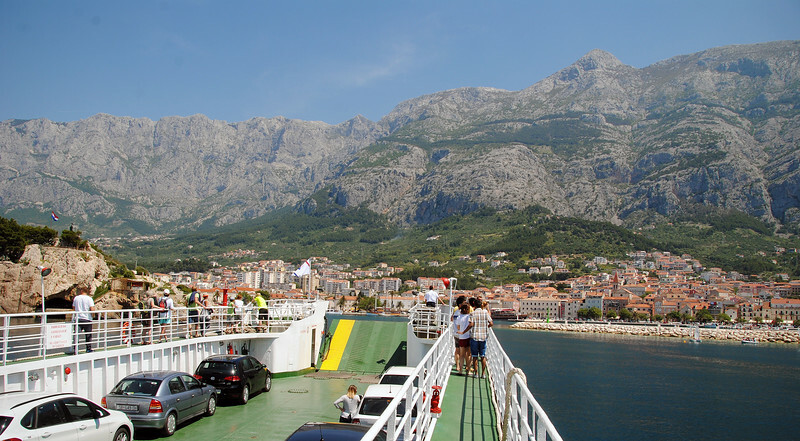 After only an hour we arrive at Makarska, on mainland Croatia. 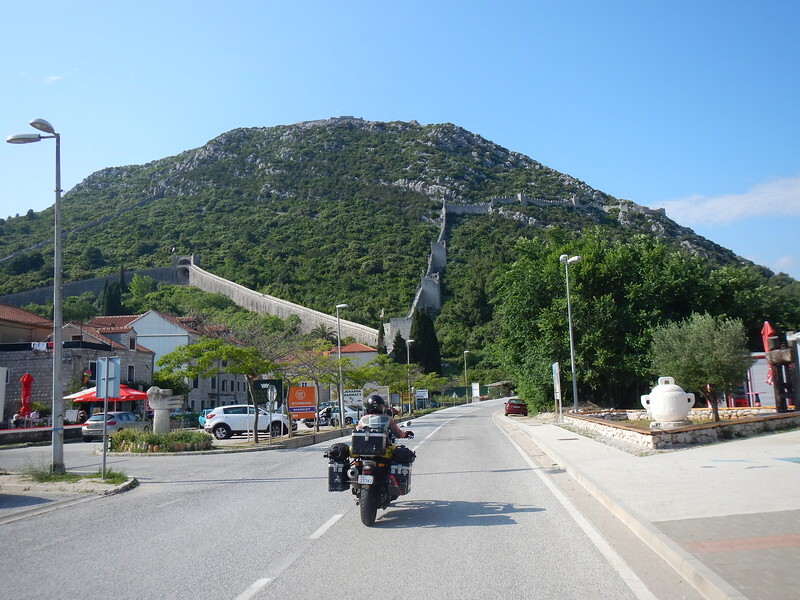 Günter is traveling further south, while we are going to stop less than 30kms away in Drvenik to catch the ferry to the next island of Hvar. We say our goodbyes in Makarska and less than 20 minutes later down the coast, we find ourselves waiting for yet another ferry! It's a couple of hours wait in Drvenik for the next ferry, so we duck into a supermarket to get some cheese and Croatian prosciutto and we sit lazily by the edge of the sea while the blue sky and sun smile down at us. Nice. When I first saw the long tour bus approach the already-loaded ferry, I told Neda, "There's no way he's fitting that thing on here this trip". 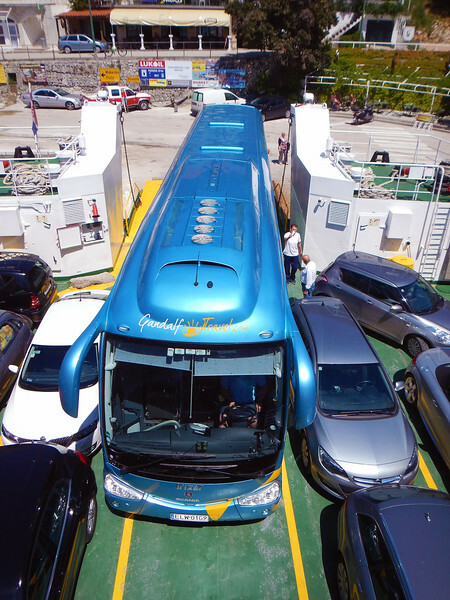 The ferry operators corraled all the cars to the sides to make a bus-sized hole in the middle. Every single person marvelled at the bus-driver's Tetris skills as he shoe-horned his vehicle onboard with inches to spare on either side! 35 minutes later, it's time to disembark the ferry again. What a roundabout way to get to the next island! We're now about 10 kms away from where we slept last night, as the crow flies. But we didn't fly. 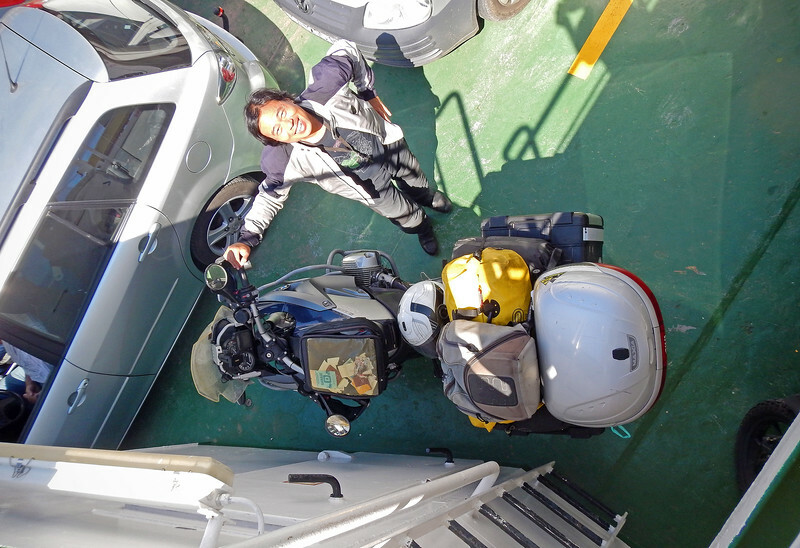 We crossed two islands, took two ferries and rode around 120 kms to get here! Oh well, it's a motorcycle trip! Neda was ordering us some wine. Where did this guy come from? 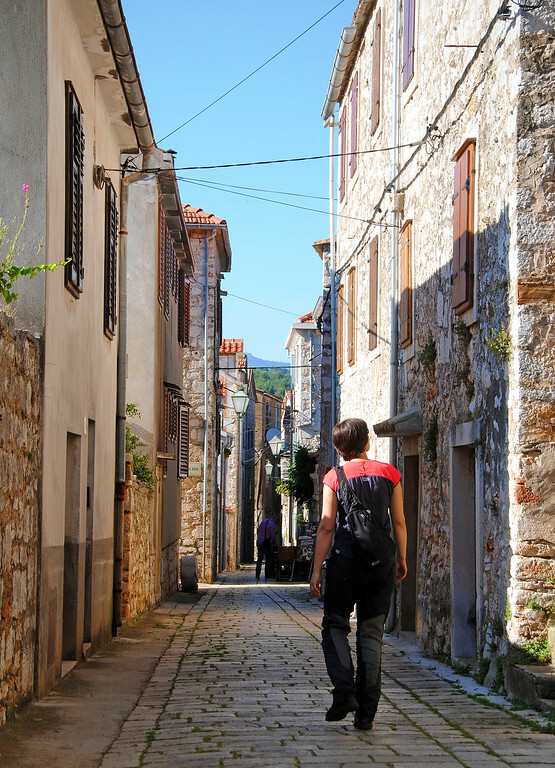 For some reason, Neda thought Stari Grad was the main tourist town on Hvar island, but it seemed kind of older and small. Well, it was getting too late to relocate. 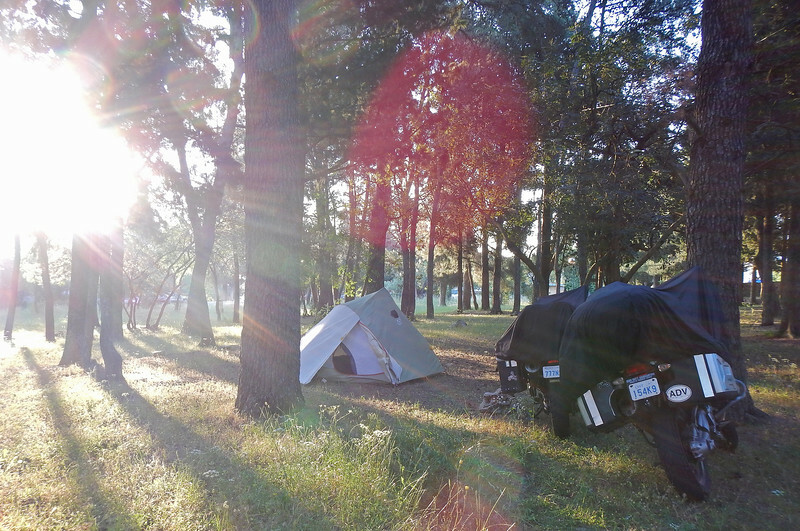 We had to find a campsite soon before the sun went down. 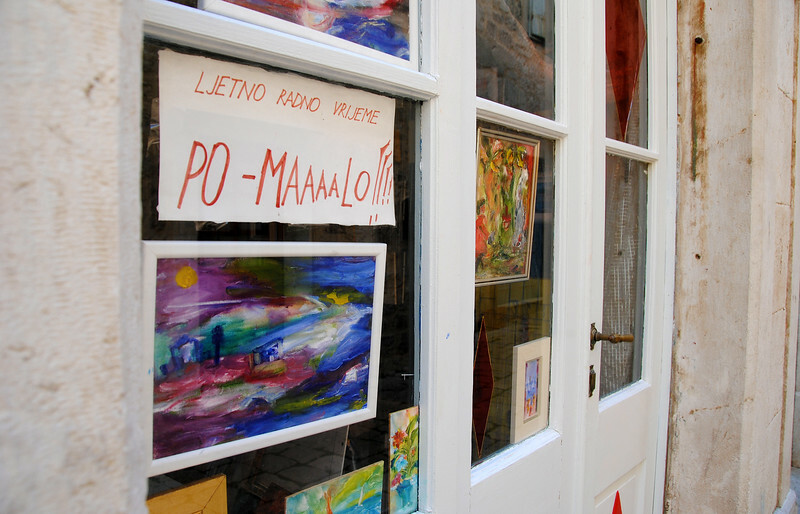 Sign reads, "Summer working hours: PO-MAaaaa Lo!!!" This Pomalo/Irie feeling would not last very long though. So we went back to the deserted campsite and set up our tent anyway. Pomalo, pomalo! We don't really wild-camp much - we prefer having flush toilets and hot running water. 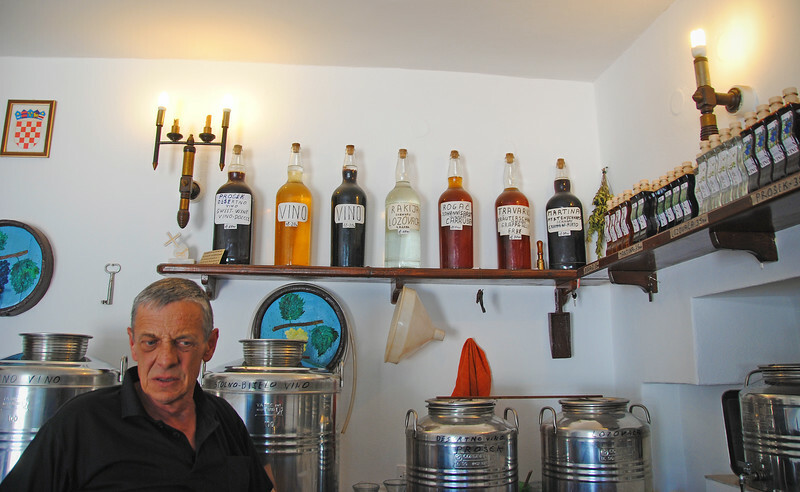 But we don't feel like paying high-season hotel prices on the island, so we'll forgo the shower for this one night... I slept with one ear open, worrying that we would be woken up in the middle of the night, reprimanded (or worse) for trespassing and be forced to vacate the premises. 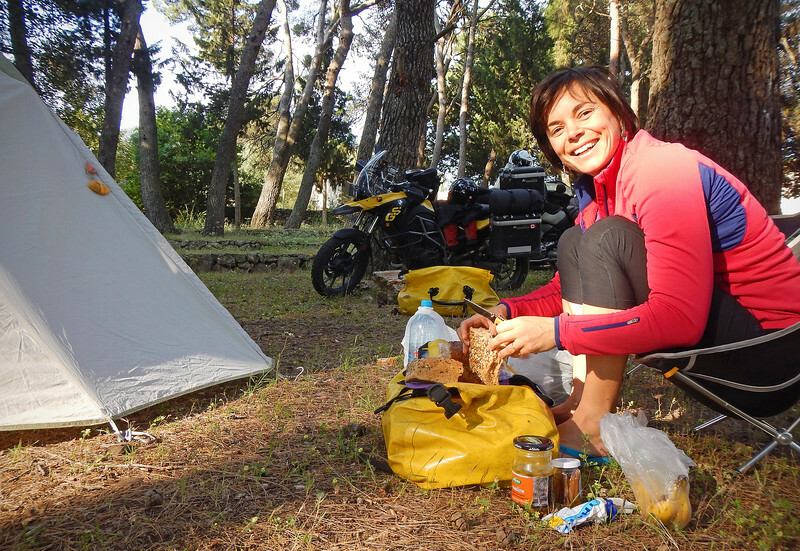 But in the morning, we haven't been discovered and Neda is making breakfast: Peanut butter and pomalo sandwiches! 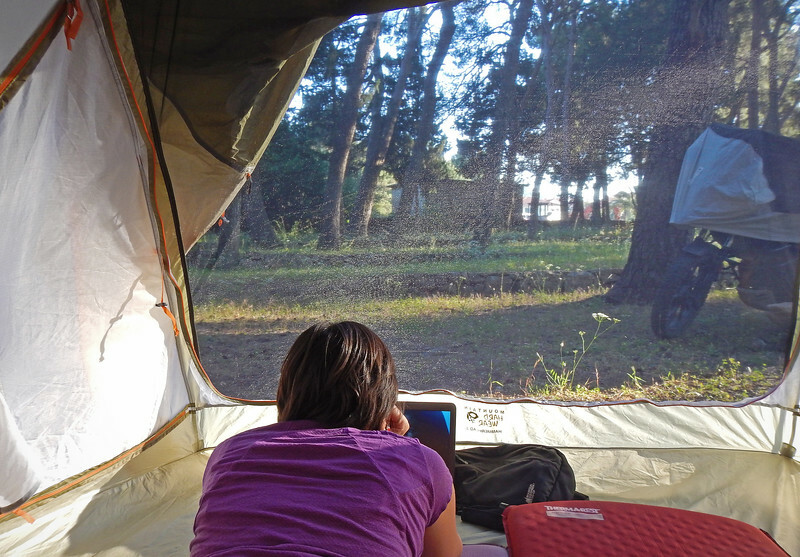 We packed up our tent as discreetly as possible, and rode off the deserted property as quietly as we could. 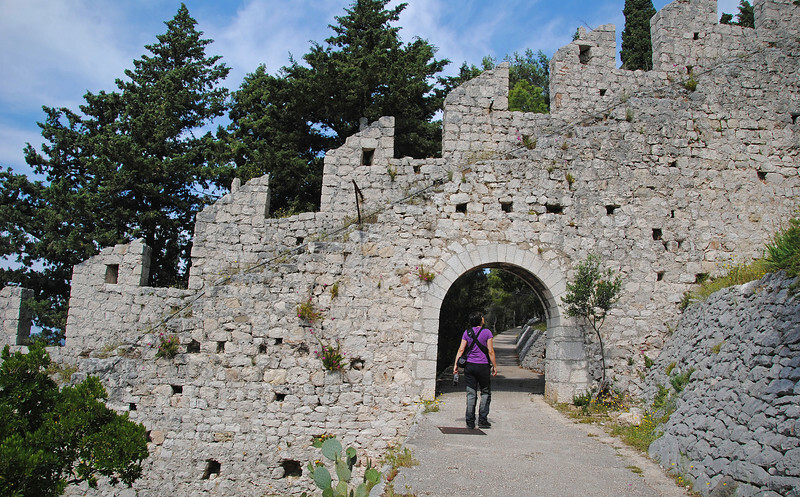 As we passed the front gate, a man approached us and Neda engaged him in Croatian. Turns out he was the campsite manager! Uh oh! We found out that because it was still early in the season, the site was only due to open the next week. He said he saw our tent late last night and told us that if he had known earlier, he would have opened up the facilities for us. I was ready to reach for my wallet when he said, "Don't worry, I'm not going to charge you for a patch of grass. Have a nice trip!" 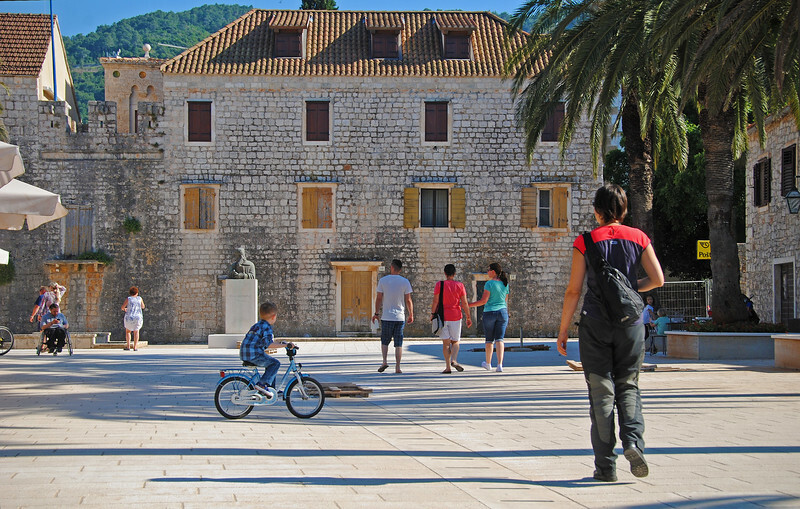 So we left Stari Grad to find the tourist centre of Hvar island. 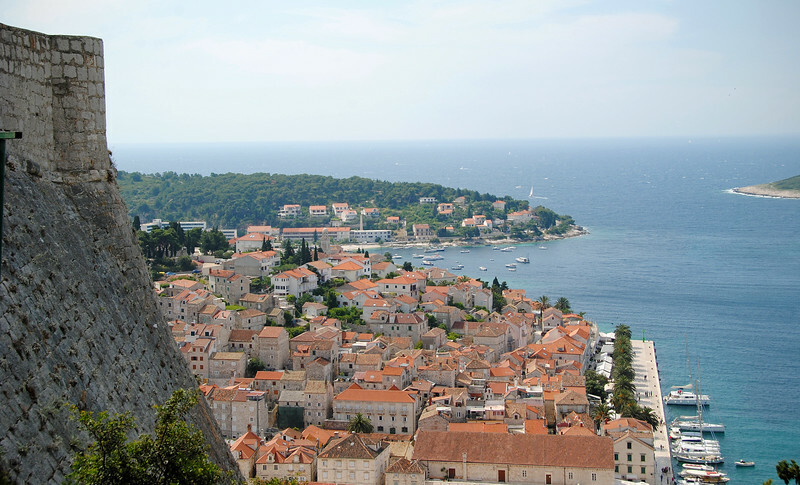 Which turns out to be the town of Hvar. Duh! Ah, now *this* is the tourist centre! and we ate them while hanging out at the edge of the marina. Pomalo pomalo! 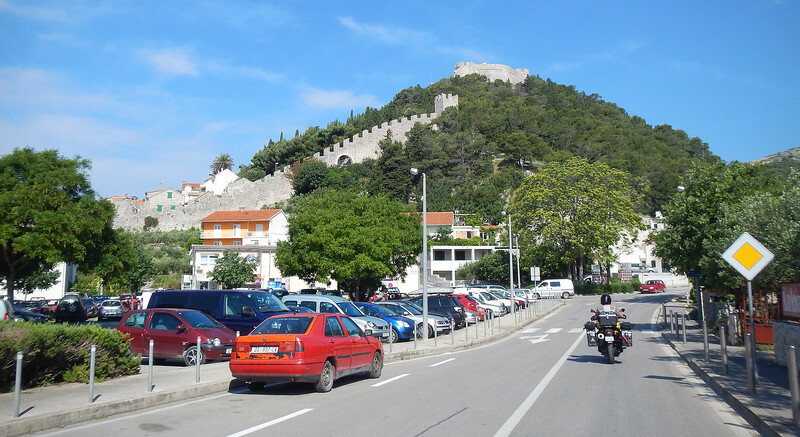 The fort is called Tvrđava Španjola, which means Spanish Fortress, built by Spanish military engineers in the 16th century. It costs money to go into the fort, so we take a pass on that. I'm sure the view is much nicer from the outside than the inside! 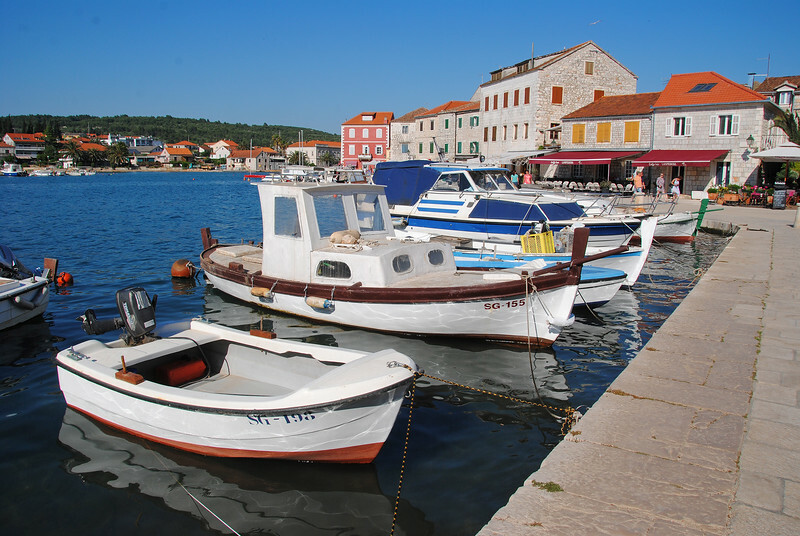 Some nice boats moored at the harbour in Hvar. 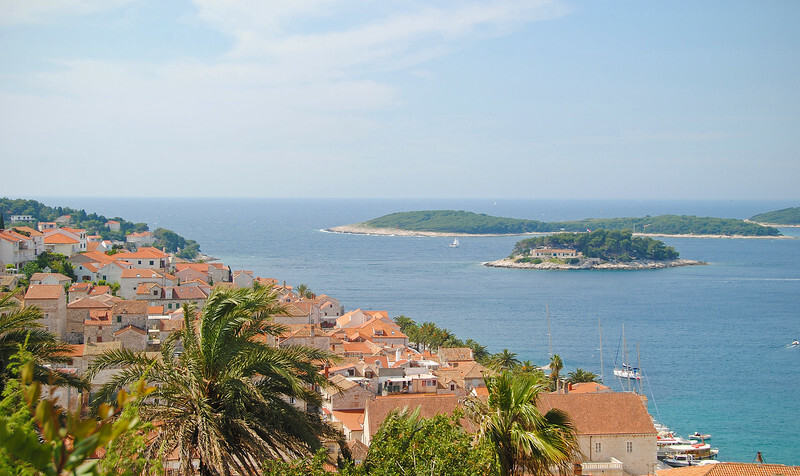 Sailing the Dalmatian islands is a popular bucketlist item. 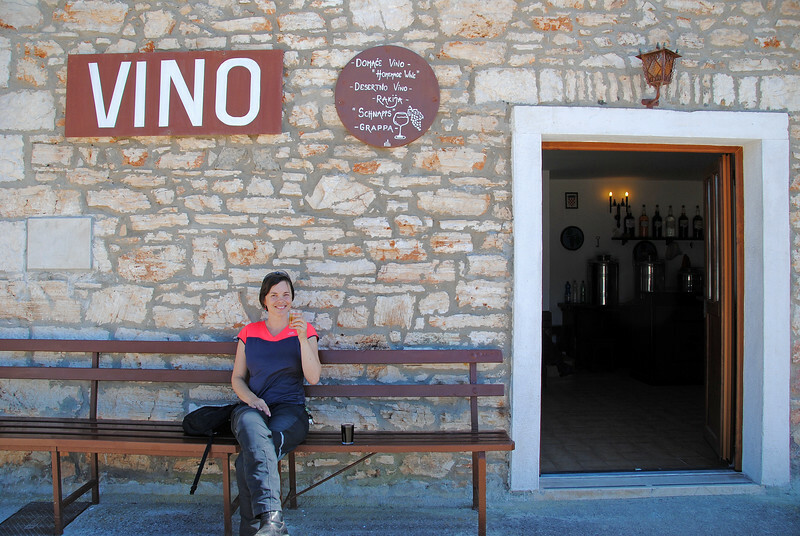 Having seen Hvar and Hvar island, we hop on the bikes and double back to the same ferry that took us here. 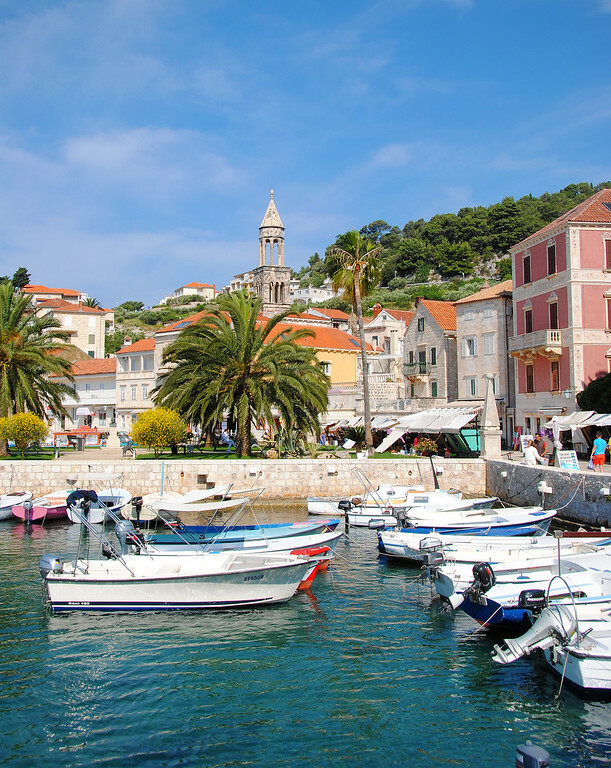 The Dalmatian islands are not that big, Hvar is only about 80kms from end-to-end. Soon, we find ourselves back on the mainland heading south again. 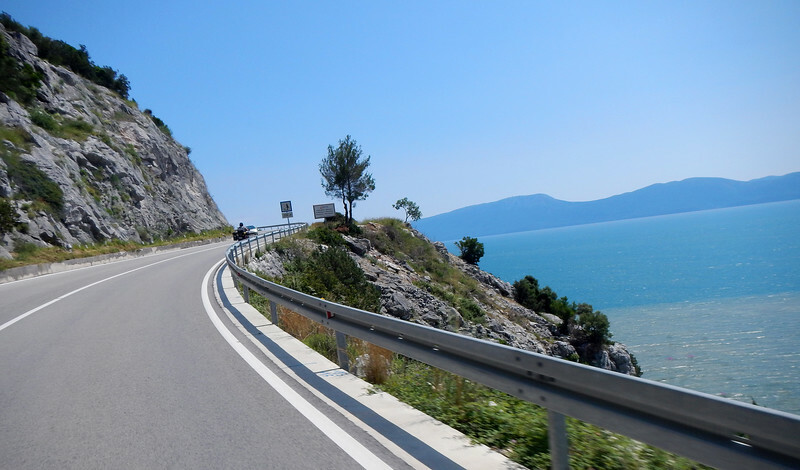 And more twisty, coastal roads! 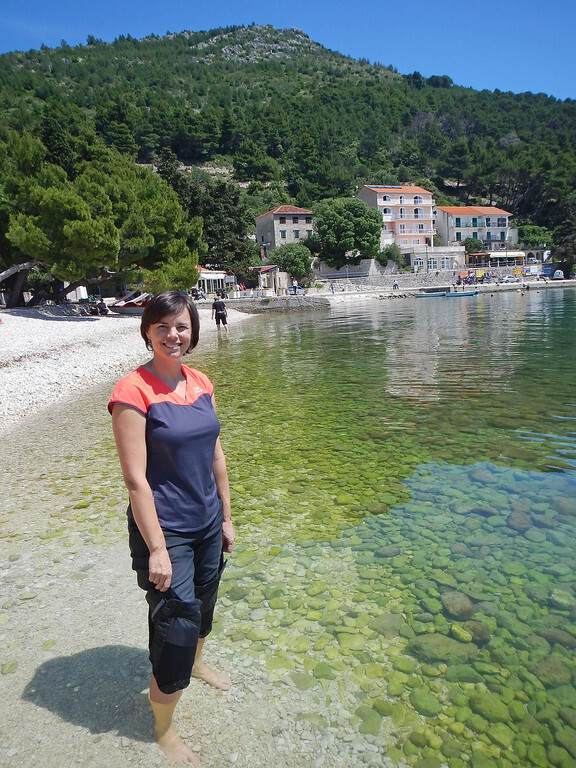 We have to make a decision, do we catch another ferry at Ploče to get to the next Dalmatian island south of Hvar: Pelješac and Korčula? 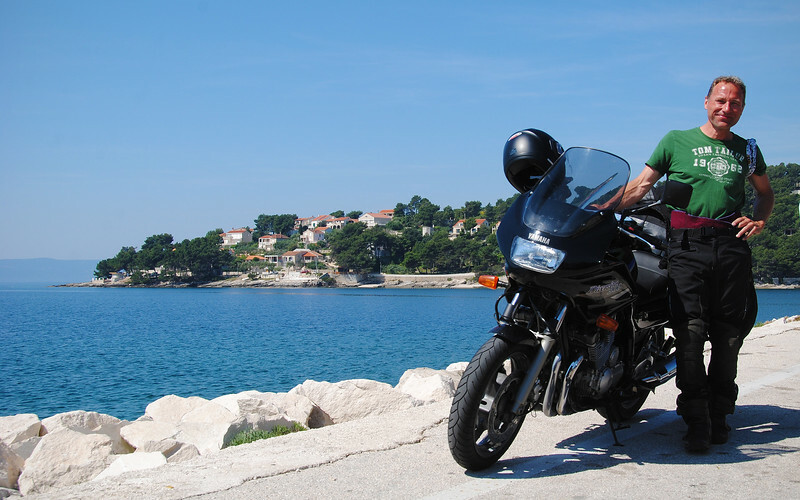 Or continue on southwards down the Dalmatian coast. 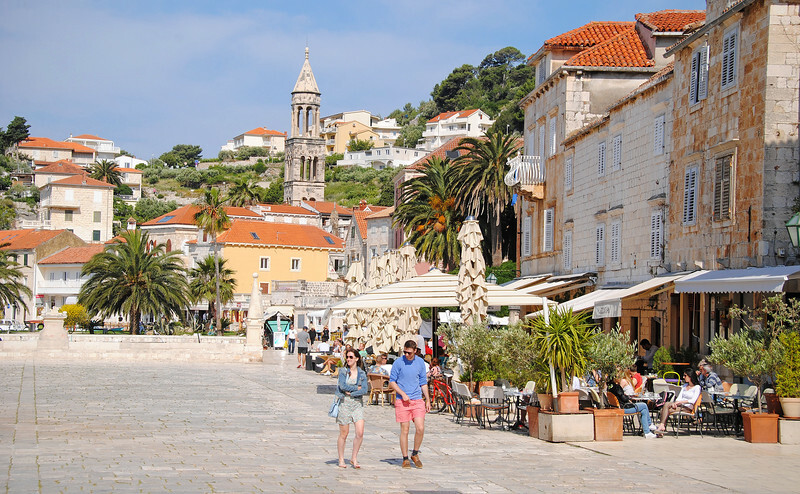 Hvar and Brač were pretty similar, so I think we've got the jist of the Dalmatian islands at this point. Neda has had peanut butter and jam sandwiches for breakfast pretty much every single day on this trip with little exception. 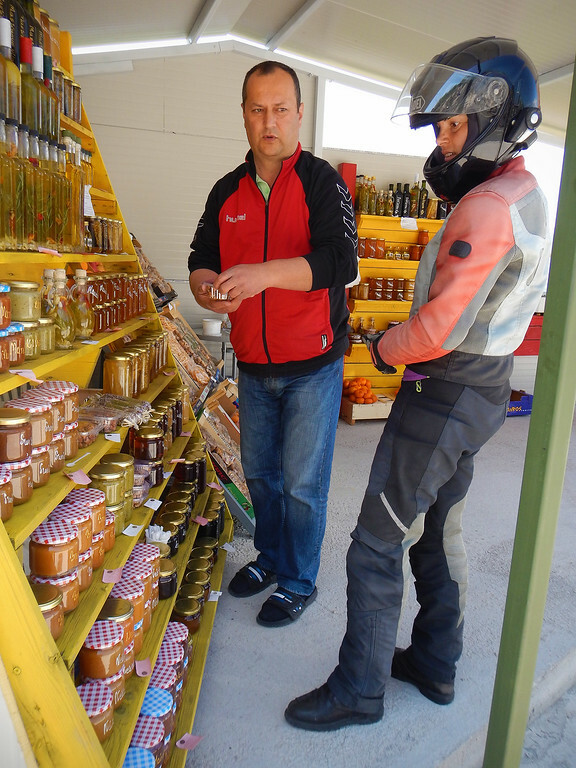 So when she saw a roadside stall selling artisanal Croatian jams and marmalades, we had to stop to take a look. Meh, too overpriced! We'll get some at the grocery store instead. 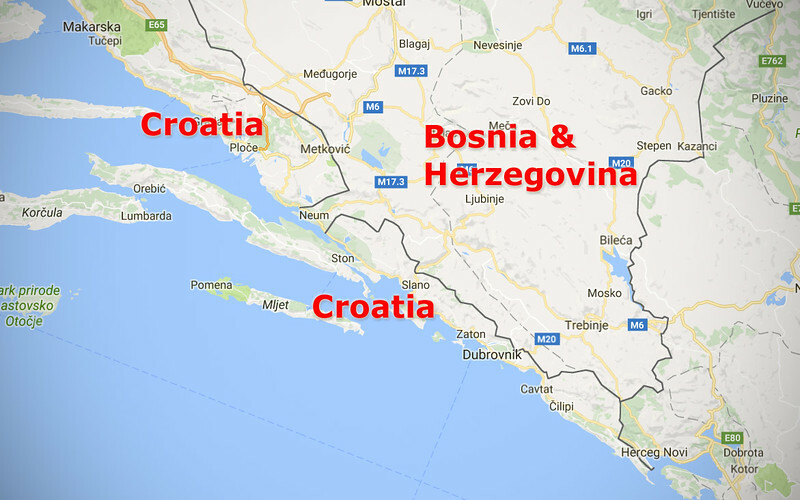 There's a lot of conflicting information about whether or not you need to purchase Bosnian vehicle insurance if you are crossing the Neum Corridor, especially since Croatia joined the European Union a few years ago and Bosnia & Herzegovina is not in the EU. 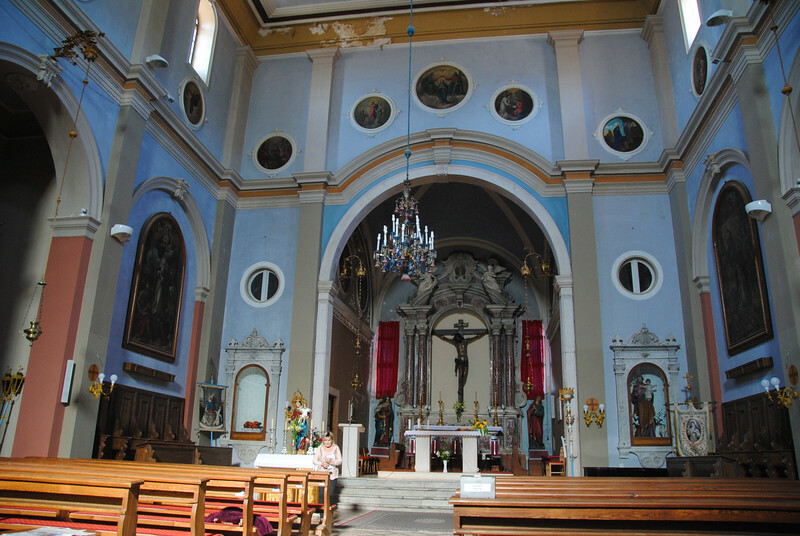 The minimum coverage period you can purchase for Bosnian insurance is 7 days and it costs $25. That's expensive for a 10-minute ride across the Neum Corridor! Which is why we had the option to do this! 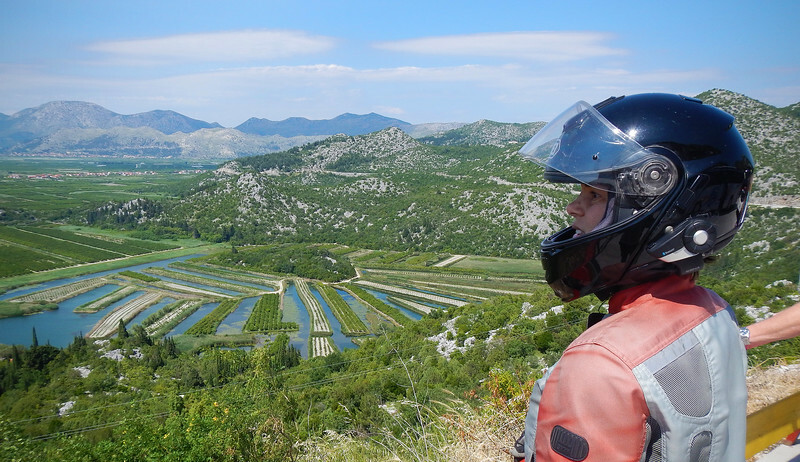 The 9-kms we saw of Bosnia & Herzegovina was not very much different from the Dalmatian coast that we had already seen. 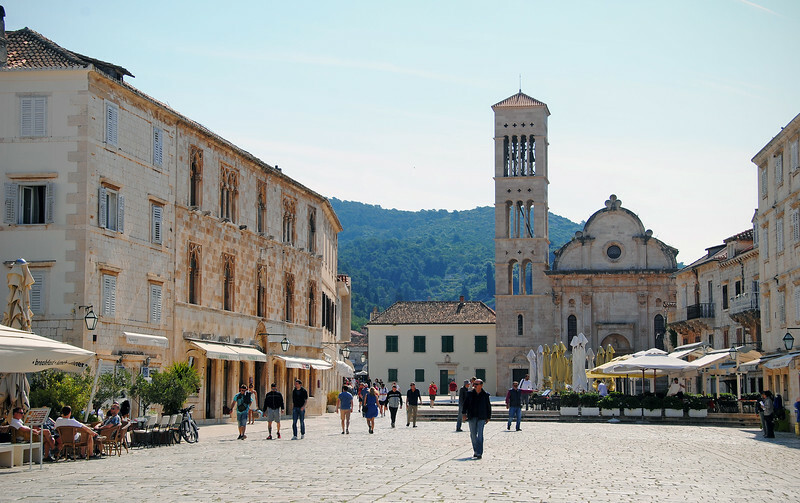 We will visit Bosnia properly later, but now we're just content to lazily wander around on the Adriatic. 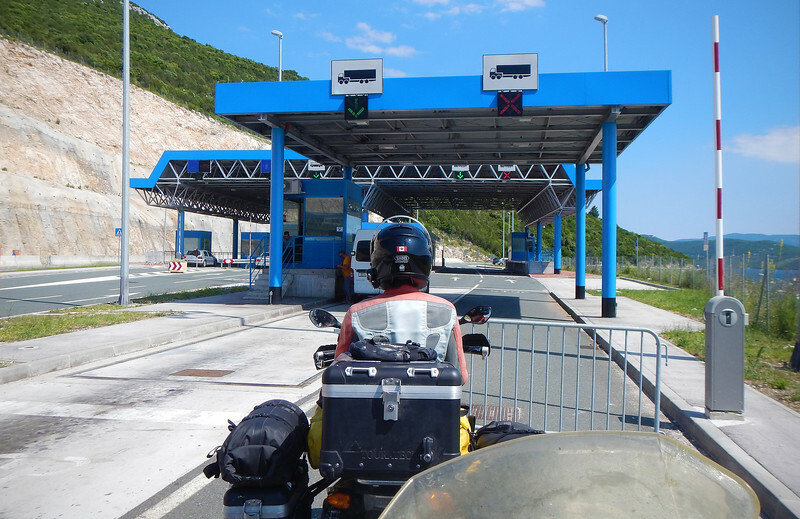 We flashed our EU passports again at the Croatian border and continued on our way south. 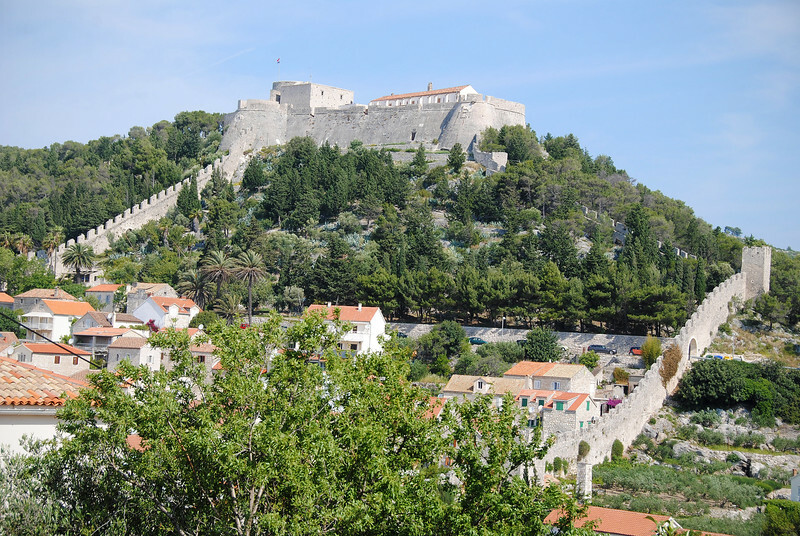 To our surprise, Ston also had a fortress up on the hill, like Hvar. It was like that Doctor Who episode, where the Doctor and his companions traveled the entire length of the city only to return to the exact same spot they left! It felt like a loop in the space/time continuum. Thankfully, Neda didn't make me hike up this hill. 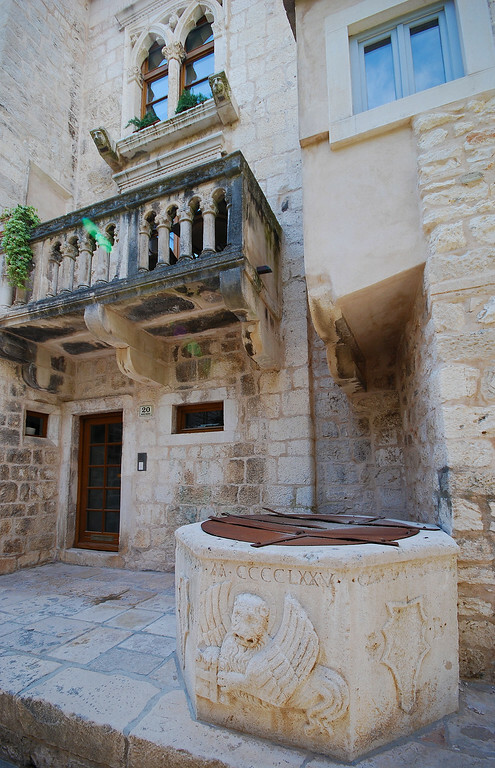 We're seeing a lot of the same things in Dalmatia. We had a nice lunch and climbed aboard our bikes again.